What’s The Best Day To Lock A Mortgage Rate? What’s the best day of the week to lock a mortgage rate, you ask? It depends on your preference for risk. According to data compiled from MBSQuoteline, a provider of real-time mortgage market pricing, mortgage rates are most stable on Mondays, making that day the easiest on which to lock a low rate. By contrast, rates are most skittish on Wednesdays, meaning that mid-week is a time when rates could drop while you shop, or they could spike, costing you some cash. Locking your rate at the precise right time can mean the difference between saving big bucks and paying higher costs. Before you lock, you’ll want to know how mortgage rates work. A brief understanding of mortgage markets is the first step toward making a sound mortgage rate decision. Shopping for a mortgage rate can be difficult — especially because it’s not always clear where mortgage rates come from, or how they’re made. 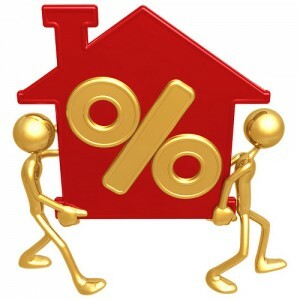 The good news is that mortgage rates are simple to understand once you understand a few basic facts. First, mortgage rates are based on prices of mortgage-backed securities (MBS). Next, mortgage-backed securities are bonds, which are traded similar to stocks. Also like stocks, mortgage-backed security prices change all day, every day. In this context, we see that “the market” drives mortgage rates, just like stocks. When demand for mortgage-backed securities is high, MBS prices rise; and, when demand for mortgage-backed securities is low, MBS prices fall. The only confusing part to remember about mortgage rates is that the move in the opposite direction of mortgage bond prices. When MBS prices rise, mortgage rates drop; and when MBS prices drop, mortgage rates rise. You may be thinking, what makes MBS prices change? A lot of things cause these changes, which is the same as with stocks. A strong economic report will affect MBS prices, as will a weak one. A rise in oil prices will affect MBS prices, and so will a drop. MBS prices can be affected by the policies of a government halfway around the globe, and by the policies of the government here at home. MBS prices and mortgage rates are always on the move. This is why it’s recommended to do your mortgage rate shopping all in one day, when possible. If you wait to lock a mortgage rate, the rate you want could be gone. When you’re shopping for a mortgage and find the rate, which meets your needs, it’s time to make a “lock”; a commitment to your lender that you’re amenable to the rate offered. At this point, you’re entering a contract, of sorts. You agree to accept the rate offered, and the lender agrees to honor that rate for a pre-specified number of days. The standard mortgage rate lock is good for 30 days. This means that when you lock a loan, the lender will agree to honor your locked rate for a period of 30 days no matter what. If the mortgage market suddenly worsens, for example, and mortgage rates jump 1/2 percentage point, because of your rate lock, your lender is obligated to honor your original quoted rate. Now, not all loans will be closed in 30 days. When you’re buying a home, for example, it can take 60 days or longer to close. Thankfully, rate locks are available for time frames longer than just 30 days. Mortgage rates can be locked in 15-day increments, all the way up to 90 days. Beyond 90 days, the increment shifts to 30-day periods, up to 360 days total. That said, you might not want to make a 360-day lock, even if you’re buying new construction not set to deliver for another year. This is because the longer your rate lock, the higher your mortgage rate will be. The reason why mortgage rates increase as your rate lock duration increases is that lenders are absolutely committed to giving you your locked rate at closing, but the future is always uncertain. The farther into the future you want your lender to commit to a specific interest rate, the more they’re going to charge you for it. It’s a high-risk proposition, after all. In general, mortgage rates increase 12.5 basis points (0.125%) for every 15 days you add to your rate lock, up to 90 days. Beyond 90 days, expect to pay higher rates and a non-refundable, upfront fee. This fee is why very few people execute rate locks for longer than 90 days. The fee can be as high as 1 percent of your borrowed amount and you never get it back once it’s paid. Some mortgage lenders will not charge a premium for locking a rate for 60 days so be sure to get at least two quotes from competing banks. Policies vary from lender-to-lender. Mortgage rates change daily, and, on some days, they tend to change more than others. That said, each day you’re “floating” poses a risk to your finances. It’s often better to be locked. NSH Mortgage covers the Tampa Bay and surrounding areas with variety of mortgages, loans, and will help tailor a package specifically for you.